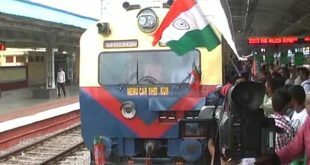 Bhubaneswar: Railways have planned to facilitate pilgrims with 184 special trains leaving from its jurisdiction towards Puri and vice-versa, apart from the special trains from neighbouring states during Rath Yatra period. 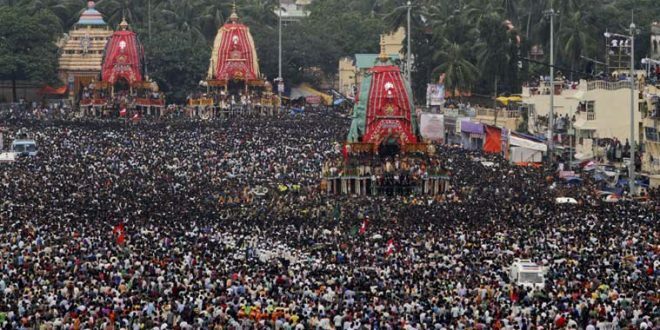 The state government expects congregation of over 10 lakh devotees from across the state and other states during the chariot festival to be held on July 14. 14 Special trains will run towards Puri for Gundicha Yatra. One Special from Visakhapatnam, one from Kharagpur, one from Shalimar and one from Junagarh Road will leave on 13th July from the originating stations to Puri. 10 Special trains include one each from Bangiriposi, Kendujhargarh, Bhadrak, Cuttack, Paradeep, Brahmapur, Palasa and three from Khurda Road will run towards Puri on 14th July. 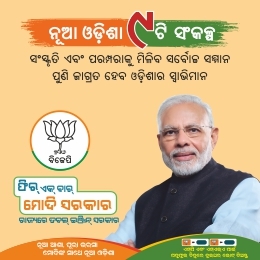 In the return directions, 14 Special trains will leave from Puri include one each towards Visakhapatnam, Kharagpur, Shalimar, Junagarh Road, Bangiriposi, Kendujhargarh, Bhadrak, Cuttack, Paradeep, Brahmapur, Palasa and three towards Khurda Road on Gundicha Yatra day. 24 Special trains will run to and from Puri between 15th July and 20th July 2018. One pair of special will run between Bangiriposi and Puri during the period. 03 Special trains from Khurda Road will run towards Puri. 02 Special trains to Khurda Road and One Special to Bhubaneswar will also run during the period. 08 Special Train will run for Sandhyadarshan on 21st July 2018. One pair of special will run between Bangiriposi & Puri and 03 pairs of Special trains will run between Khurda Road & Puri from both the directions. 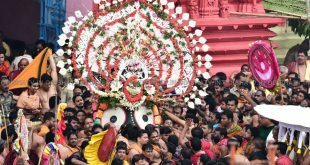 13 Special trains will run towards Puri for Bahuda Yatra. One Special from Visakhapatnam, One from Shalimar and One from Junagarh Road will leave on 21st July 2018 from the originating Stations to Puri. 10 Special trains include one each from Bangiriposi, Kendujhargarh, Bhadrak, Cuttack, Paradeep, Brahmapur, Palasa and three from Khurda Road will run towards Puri on 22nd July 2018. In the return directions, 13 Special trains will leave from Puri includes one each towards Visakhapatnam, Shalimar, Sambalpur, Bangiriposi, Kendujhargarh, Bhadrak, Cuttack, Paradeep, Brahmapur, Palasa and three towards Khurda Road on Gundicha Yatra day. 13 Special trains will run towards Puri for Sunavesha. 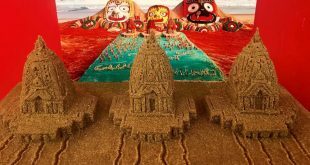 One Special from Shalimar will leave on 22nd July 2018 towards Puri. 12 Special trains include one each from Sambalpur, Bangiriposi, Kendujhargarh, Bhadrak, Cuttack, Paradeep, Brahmapur, Palasa, Visakhapatnam and three from Khurda Road will run towards Puri on 23rd July 2018. In the return directions, 13 Special trains will leave from Puri includes one each towards Visakhapatnam, Shalimar, Junagarh Road, Bangiriposi, Kendujhargarh, Bhadrak, Cuttack, Paradeep, Brahmapur, Palasa and three towards Khurda Road on Sunavesha day. 03 pairs of Special trains will run between Khurda Road & Nayagarh Town from both the directions on Yatra days like Gundicha on 14th, Sandhya Darshan on 21st, Bahuda on 22nd and Sunavesha on 23rd July 2018. Similarly, 02 pairs of Special trains between Khurda Road and Nayagarh Town from both the directions will run between 15th and 20th July 2018. Services of 12891/12892 Bangiriposi-Bhubaneswar-Bangiriposi Express will be extended to Puri from 14th to 23rd July 2018 having stoppages at Khurda Road and Sakhigopal and 58426/58425 Kendujhargarh-Bhubaneswar-Kendujhargarh passenger will be extended to Puri during the period and will be utilised as Special trains. To provide facilities to the pilgrims and adjustment to run Special trains, it has been decided to cancel 68434/68433 Brahmapur-Cuttack-Brahmapur MEMU, 58420/58419 Palasa-Bhubaneswar-Palasa, 58411/58412 Bhubaneswar-Brahmapur-Bhubaneswar and 58425/58426 Bhubaneswar-Kendujhargarh-Bhubaneswar passenger on 14th & 22nd July 2018. Similarly, 58420/58419 Palasa-Bhubaneswar-Palasa, 58411/58412 Bhubaneswar-Brahmapur-Bhubaneswar and 58425/58426 Bhubaneswar-Kendujhargarh-Bhubaneswar passenger on 23rd July 2018 will remain cancelled for adjustment to run Special trains towards Puri.